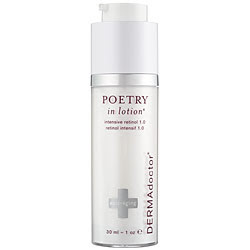 Check out the newest anti-aging treatment to hit the shelves of your local drugstore: DERMAdoctor's "Poetry in Lotion" which claims to be—chuckle, chuckle—"well versed in reducing the appearance of fine lines, wrinkles & age spots." While the Poetry & Popular Culture office has yet to test the product personally, Poetry in Lotion is generally getting good consumer reviews. "I went to bed 40-something, with deep lines around my mouth, forehead and eyes," writes one reviewer, "and I woke up with a 30-something face." Was but a man's clear duty. Does hope, ambition, love or gold? Do tell me, sweetest creature. 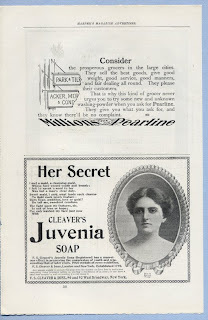 Compared to Juvenia—which produced nearly instantaneous results for users a century ago—Poetry in Lotion is a slow-acting agent, requiring all of a night's sleep for its effects to become visible. While Poetry & Popular Culture can't account for the slowdown, it is waiting for the next advance in poetic skin-care treatment: Alexander Pope-on-a-Rope. In preparation for the 2007-08 basketball season, the Portland Trail Blazers' most prominent fan-blog, Blazer's Edge, elected its first official Poet Laureate via an open contest. This year, Blazer's Edge did the same, and Lucas Bernhardt—an avid Blazers fan and recent graduate of the University of Iowa Writers' Workshop—was voted in as co-poet laureate of the site. Poetry & Popular Culture recently caught up with Bernhardt and asked him to, well, jump through a couple of hoops. 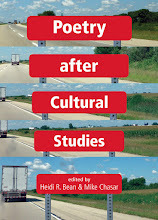 Poetry & Popular Culture: How did you become co-Poet Laureate of Blazer's Edge? Lucas Bernhardt: Blazer's Edge held a contest during the off-season, and the voting was so close that they awarded the position to both me and a writer who uses the screen name T. Darkstar. P&PC: It sounds like it was a tight race. In fact, the contest coordinator had to dispel suspicions of ballot stuffing when your poem “The Assistant Coach” received a wave of last-minute support from voters. “Apparently,” he reassured readers, “people were just stirred by [the] verses and had to vote. Nothing untoward went on. It's simply the mark of a great poet!” How closely did you follow the election—and how did you celebrate? LB: I don't remember how closely I followed the contest, but I did feel the suspicious people had a point. I had mentioned the proceedings to a few friends in the Workshop, and word got around. I hadn't told anyone which poem was mine, nor what my screen name was—and, actually, another writer from the Workshop had a poem in the running—but I imagine some of those last-second votes came from nearby. My intention was to get more writers in on the act, but I probably should have known better. The celebration must have been something....I can't remember it at all. P&PC: How many poems have you written for Blazer's Edge? LB: Bunches of haiku, a crown of sonnets, an ode, a little number on the Spurs, and the contest poem. P&PC: Bunches of haiku indeed. One hundred twenty of them, in fact, in a poem that was subsequently described as a “mighty endeavor.” What compelled you? LB: Admiration for Yosa Buson. Some people are moved to write by happiness, others by envy or resentment. For me it's usually admiration, which is why I feel so lucky to have been writing about the Blazers this year. They're such an easy team to pull for. Their good-humored approach to the game, their lack of hubris—what's not to like? P&PC: Does your approach to poetry change when you write with a specific topic in mind (the Blazers), or for a particular audience (the Blazer's Edge reader)? LB: I always pretend I'm writing for people who are more or less like me. Flawed but polite. When I'm writing for Blazer's Edge, I do allow myself to try things I might not otherwise. For example, "The Assistant Coach," is a pretty brazen Fernando Pessoa rip-off. That's something I wouldn't normally do, but there's something about inserting basketball references that can save an otherwise bad idea. LB: For example, well, every poem I've written for the site. I think it has something to do with anti-poetry, the way one generation of writers can say the same things about janitors or ink cartridges that a previous generation said about roses. Those dislocations can be beautiful. P&PC: Why the sign-on “St. Bayno” and not “Lucas Bernhardt”? Is St. Bayno to Lucas Bernhardt like Slim Shady to Marshall Mathers? LB: It's a tribute to Bill Bayno, a good coach. P&PC: What’s it like being a co-poet laureate? LB: Throughout the season we've had a supportive, non-competitive relationship. Having a co-laureate is a mixed blessing for me. On the one hand, it's great to have such a generous partner, someone who always has nice things to say about what I've written and who can pick up the slack whenever—and it's often—I'm slacking off. On the other, I feel totally outclassed by him. He's a much more complete blogger than I am. He writes all sorts of interesting posts, including a recent one about finally seeing a Blazers game with his wife (they live in Milwaukee). He also is a lot better at commenting on and recommending others' posts. I'm more of a silent participant in the site, outside of the poetry. I didn't have a login until the poet laureate contest, even though I had been reading Blazer's Edge for a long time. P&PC: Have you gotten any endorsement deals? P&PC: How did your training at the Iowa Writer's Workshop prepare you for this responsibility? LB: The Workshop is an amazing program, but it's hard to say exactly why. I suppose working closely with so many great writers broadens a person's scope—assuming one is willing to pay attention to what others are up to. P&PC: In a post-election comment on the blog, you outed yourself as a workshop-trained writer and confessed to circulating the finalist poems to your friends and peers. What sort of reactions did they have? LB: Most of them had a lot of fun reading the poems and commenting. Naturally, those who didn't never brought it up. Some people admitted they had no idea which poem was mine, and others thought they knew but were wrong. Generally, people seemed to like the idea of posting poetry where people who don't generally follow contemporary poetry might read it. P&PC: Are there any plans to have you read at the Rose Garden Arena? LB: No—what a terrifying idea! I'm pretty sure it wouldn't fly. I get the feeling that elements within the (Blazer) organization are aware that Portland is an atypical sports market. That said, trying to appeal to the eccentric side of the audience would probably slow things down. The Rose Garden is all about amplifying the loud, fast, superhuman spectacle of pro basketball. P&PC: Hmmm....You could call it a poetry slam dunk. LB: Maybe if it involved being shot out of a cannon reading a poem, and culminated in a dunk...then maybe.